When installing vinyl decals on vehicles, these 2 products are indispensable. 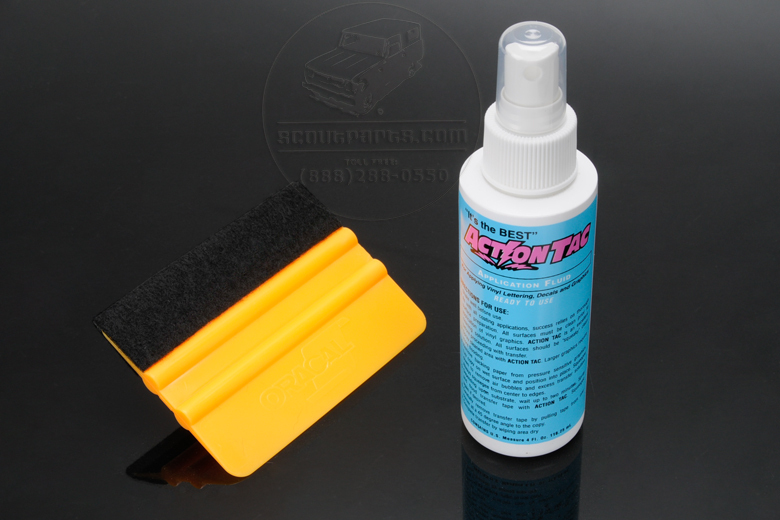 The "ActionTac" solution will allow you to adhere the vinyl without the sticky really grabbing hold. It buys you a few minutes to pull the decal off, and realign it making sure the placement is correct. The plastic burnisher has a soft felt side, and a hard plastic side to push all the bubbles out and make sure the vinyl has a strong adhesion.